We are currently seeking a Project Manager to add to our team. The Project Manager is responsible for the planning, directing, coordinating or budgeting, usually through the estimator and superintendent, activities concerned with the construction and pavement of heavy/highway projects. Participates in the conceptual development of a construction project and oversee its organization, scheduling and implementation. Conduct regular project team meetings and manage subcontractor performance with a keen emphasis on budget control and time management. Identify job problems and issues, initiate documented action and verify implementation of solutions as requested with efficient organization and accuracy. Consistent interaction with clients, architects, engineers and local jurisdictions to incorporate project objectives. Negotiate and issue purchase orders and contracts, price and present change orders. Prepare costs for completion and job finalization. Prepare detailed critical path job schedules in P6. Review RFP information and coordinate responses. All project administration and communications including, but not limited to, RFIs, submittals, meeting minutes, progress billing, logs and reports. Demonstrated ability to multi-task across several projects. 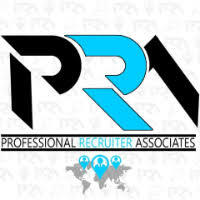 Proficient in Outlook, Excel, Word, MS Project, P6, Viewpoint and HCSS Heavy Bid and Heavy Job. Minimum of 5 years of heavy highway or airport experience in projects ranging from $5-$20 million. Bachelor’s Degree or higher in Civil Engineering or Construction Management.